If you dread moving or you don’t want to stir up an old back injury moving beds and sofas, then let the experts at Right Way Movers come in and get the job done for you. We’re one of the top moving companies in San Juan Capistrano because our number one priority is making sure the customer is satisfied and informed whether you have residential, commercial, local, national, or military moving needs. We’re a family business that always treats your items with respect. Here are just a few ways our movers in San Juan Capistrano can make a difference next time you need something moved. San Juan Capistrano movers are here to make moving fun again! We take the work out of it and have experience and training in how to properly lift and handle objects of all angles and sizes. We keep you informed throughout the process so that you are confident in our methods and timeframes. We know that when you call in San Juan Capistrano moving companies, you expect the job to be complete in a timely and productive manner, and we always show up with a plan and are ready to execute it. 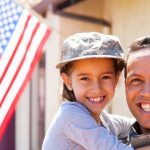 Our moving company in San Juan Capistrano is exceptional because we understand that each person will have unique circumstances and we adapt to these so that you get the services you deserve. We know that when you call San Juan Capistrano moving companies, you’ll have certain expectations and we strive to exceed these. Our movers in San Juan Capistrano always have your best interest at heart and will treat you like family. When you take the time to invest in San Juan Capistrano moving, you’ll find that you get more than our exceptional experience at your disposal, but we’ll pair that with the most efficient and professional equipment available. Don’t trust just any moving companies in San Juan Capistrano when you can call us in. We keep our costs affordable and value each member of the community. When you’re on a tight budget, that doesn’t mean that you have to move yourself. Let our discount movers in San Juan Capistrano take a load off your back and do the heavy lifting for you. When you require moving services San Juan Capistrano, give us a call and we’ll make the process smoother for you! Give us a call today if you’re looking for a moving company in San Juan Capistrano.